Two internationally acclaimed musicians, pianist Magdalena Baczewska and violinist Muneko Otani, will perform at the Jamesport Meeting House at 7:30, Saturday evening, April 13th, as part of the venue’s 1731 Concert Series, underwritten by the Robert David Lyon Gardiner Foundation. 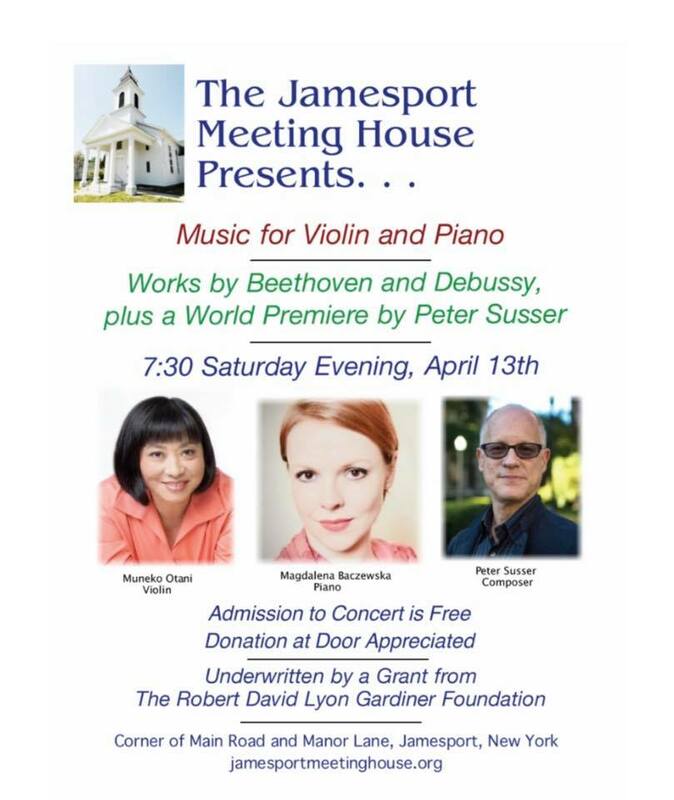 The concert will include a new work, Early Midsummer for piano and violin, composed by Peter Susser, a member of the board of the Jamesport Meeting House Preservation Trust and a part-time resident of South Jamesport. Admission is free, although donations at the door would be appreciated to assist in the ongoing renovation and upkeep of a structure built by Puritan settlers nearly 300 years ago. The composer, who holds a doctorate in music from Columbia University, is that school’s director of undergraduate musicianship. 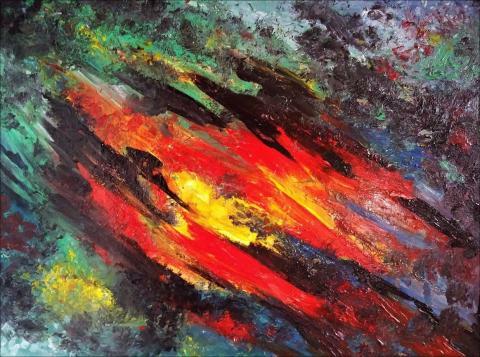 He received a master’s degree in cello performance from the Manhattan School of Music, where he won the Pablo Casals Prize and Ravel Competition. Recordings of his music are available on Capstone and Albany Records. Ms. Otani has also appeared before at the meeting house as first violinist for the Cassatt String Quartet. Major venues have included Lincoln Center, the Kennedy Center, the Library of Congress and the Bastille Opera House. She has held fellowships at the Banff Festival, the Tanglewood Summer Festival and Yale University. A reception will be held afterwards for members of the audience to meet the two performers and Dr. Susser.